New Orleans I’ve known Heather Booth for a long time, probably forty years, as a respected colleague within the allied trades of our work. I first knew her as the director and one of the founders of the Midwest Academy, which was, and still is, a Chicago-based training center for organizers. Later in Washington she managed voter registration and engagement programs and was an excellent partner on our joint efforts, and continued to be a voice and advisor with considered and valued opinions. Prior to meeting her, I admired the fact that she had spent time as an organizer in the South during the civil rights movement. In many ways I now feel I only knew the half of it as I read a snippet of the oral history of the “Janes” in the recent issue of Harper’s Magazine and Heather’s history in founding this pivotal service for women in the fraught times before the Roe decision made the right-to-choose a foundational principle of our time and legalized women’s access to abortion, which is threatened so acutely now. My admiration for her work now knows no bounds. The story is straightforward though, despite the courage and conviction it evidenced. Heather tells of being a college student in 1965 at the University of Chicago. A friend’s sister found herself pregnant, desperate, and without options. When her friend asked her for help, she reached out for the Medical Committee for Human Rights who then in turn put her in touch with a Dr. T.RM. Howard, and her sister’s friend’s problem was solved. Next thing she knew “word must have spread.” One called and then another, and Heather realized this was a real situation crying for a solution. She arranged a system with Dr. Howard. She was living in a dormitory and all of this was illegal then, so she would tell people to “ask for Jane.” And, so it continued for another three years until 1968. Heather threw out a rope looking for help when she attended various political meetings asking if any women wanted to help provide counseling for other women, and thereby recruited a team of “new” Janes to take her place. This went through a number of iterations with various folks handling women looking for help and forced to follow the surreptitious route necessary to receive it successfully. People would donate their homes for the procedures. Women would meet other women off-site, make them comfortable, and bring them into the homes. 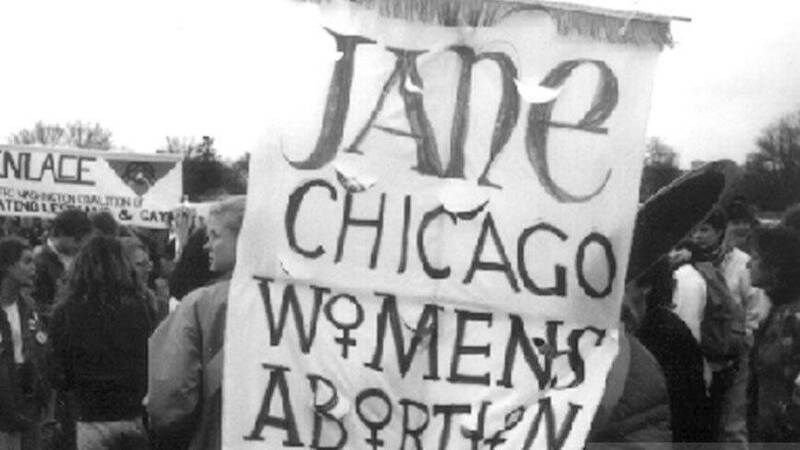 These were feisty sisters, more formally known as the Abortion Counseling Service of Women’s Liberation or Janes, as everyone called them. Doctors would refer people to them and the Janes would call the doctor and say, hey, this is Jane, help us, but few did. Eventually, they were raided in one of the homes and seven were arrested. No one was willing to testify against them. Eventually the Supreme Court decision in 1973 made the matter moot and the Janes shut down, but by that time they had facilitated about 11,000 abortions. I’m proud of Heather, but there may need to be many more Heathers who are willing to become Janes and fire up this underground railroad to provide this service and meet this life changing need, so this story is one worth learning and learning well. New Orleans The much maligned Julian Assange of Wikileaks on his forced sabbatical in England where he is “to the manor” adopted while awaiting extradition to Sweden to confront the errors of his ways with women, revealed an important insight in an interview with Hans Ulrich Obrist that was excerpted in the recent issue of Harpers’ Magazine. 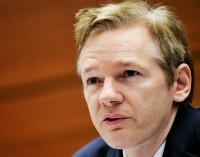 Assange was expressing concern, as he rightly might, over how information (knowledge?) can be “disappeared” over the internet. He was raising various issues both corporate and conspiratorial about bits of unpleasantness on the Guardian website and elsewhere that had been removed based on pressure from the rich and powerful. He likened it to the Russian rewrites of history, though power, as we know, routinely rewrites history to suit its purposes, his point was that the information on the web disappears without a trace, making any future retrieval or recovery in different times impossible. I can remember during the election in 2008 getting pushed to delete a story from Social Policy magazine that was already widely distributed on the internet, but that some people within the presidential campaign apparatus wanted removed despite the fact that it accurately demonstrated a relationship between ACORN and the candidate, Barack Obama. As publisher of Social Policy, my webmaster and I kept putting the piece back up every time someone tried to take it down. Weird times! Assange’s point is actually broader and more archival. He argues that to the degree archives are attached to URLs, when a company or URL owner folds, the information can be made inaccessible and lost. His proposal is that the information be linked to a mathematical number and preserved regardless, which makes sense. When we published Battle of the Ninth Ward: ACORN, The Rebuilding of New Orleans, and the Lessons of Disaster some of the citations went to information that was linked to www.acorn.org. Unfortunately, given the fact that ACORN went under a bit over a year ago, none of the information exists on that URL any longer. The references are permanently (temporarily?) lost in space. This is a common problem and some of the archival projects by the Electronic Frontier Foundation and others will be stuck in this situation from what I can see. How will future historians and others get accurate views of the past, if the past disappears like so many grains of sand in the desert? Assange is right. We need something different and better. It’s hard to imagine that he will be the best person to fix this problem or raise the money to get it done for quite a while anyway. Hopefully someone is ready to pick up the challenge. Maybe these big buckers in Silicon Valley will hear the call? I hope so.